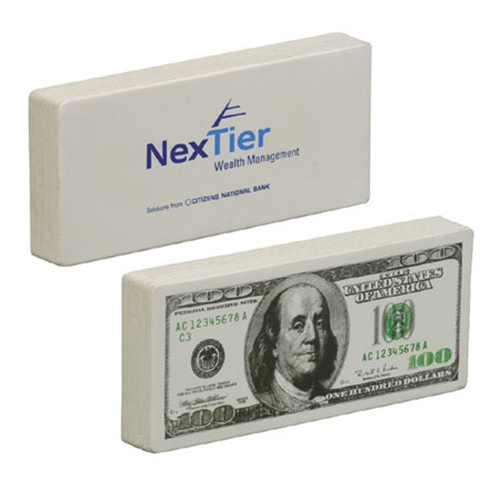 This foam stress reliever is the perfect trade show giveaway. 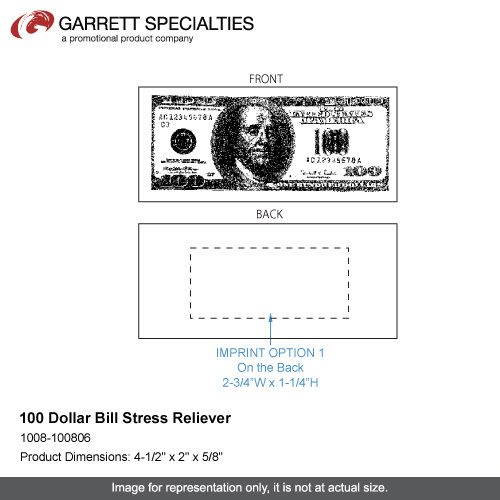 This one hundred dollar bill-shaped stress reliever helps users relieve anxiety while having fun!Perfect for any company, your customers will love getting their hands on this money at your next trade show or convention. Safety tested, this 4 1/2" x 2" x 5/8" item is intended for adults or for general use by consumers of all ages. Not intended for children under three years old or for pets. Give as gifts to loyal customers or to new clients! 4-1/2" x 5/8" x 2"
Bulk / 38 lbs / 500 pcs. / 24" x 14" x 15"box. PMS match will come as close as possible, however absolute color match cannot be guaranteed on all surfaces.